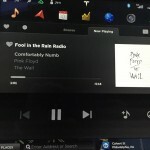 In this great write up, Rob M. explains the inclusion of Slacker Radio in the Tesla’s entertainment system. Like him, I was unfamiliar with Slacker before ordering the car, and assumed it would be like other internet radio services. I was right, only, I hadn’t yet realized how profound of an inclusion this was for me. 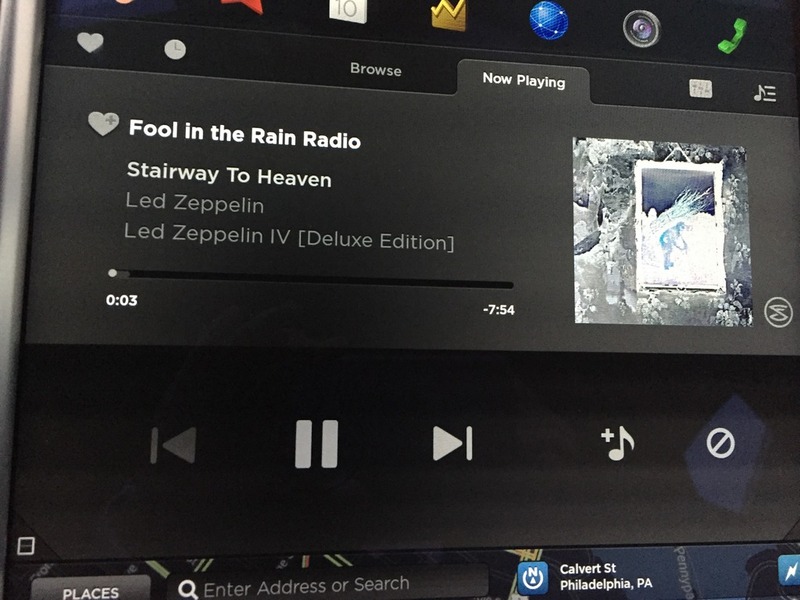 My 60-year-old parents in law, both of whom were formerly allergic to computers, listen to Pandora on the iPad I forced upon them as a Christmas gift. My 50-year-old mother loves YouTube for its ability to display full music videos from hair bands like Guns N’ Roses. Nearly every party I attend has a soundtrack courtesy of internet radio. By now, it’s safe to say most Americans have used or heard of streaming music. 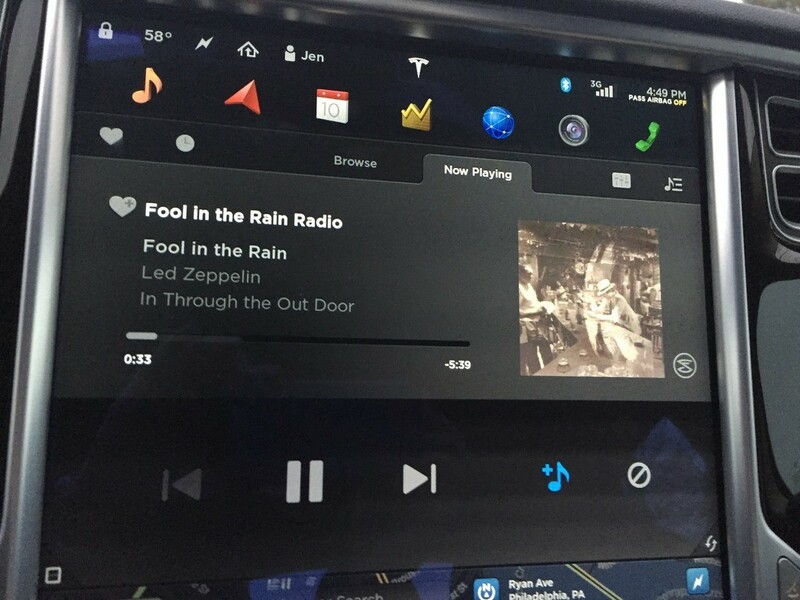 What they may not think about is how wonderful of an application it is for inside a vehicle. 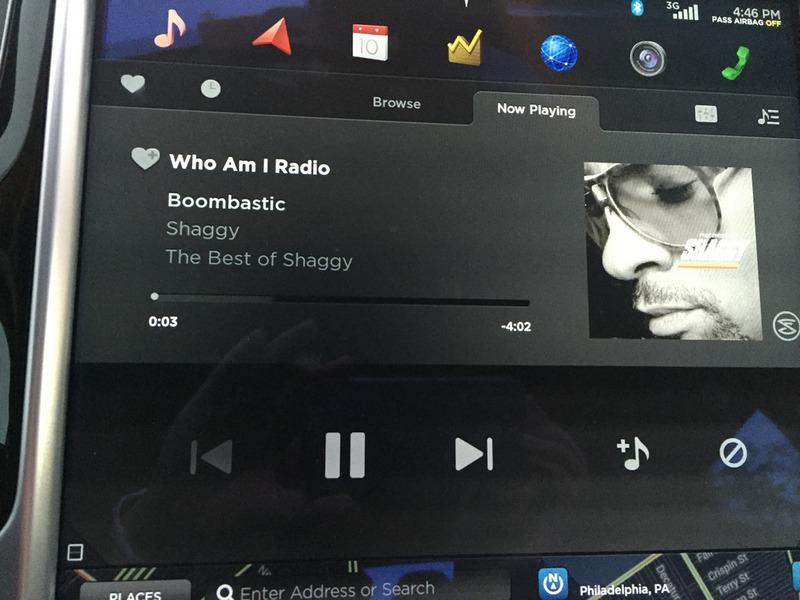 Every Tesla Model S comes with Slacker personal radio standard and at no additional cost. 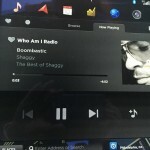 With it, you can select a song, artist or album and the radio will play the specified song as well as related songs. It also provides pre-selected channels such as 80’s hits or 90’s hip hop. Me, I’m more a “Play: Sussudio” or “Play: Missy Elliot” kind of gal. But just like this Apple Radio commercial, “It knows your mood, it knows your taste. It’s like you have a boyfriend that makes you a mix tape in your laptop.” Except, it’s your car. 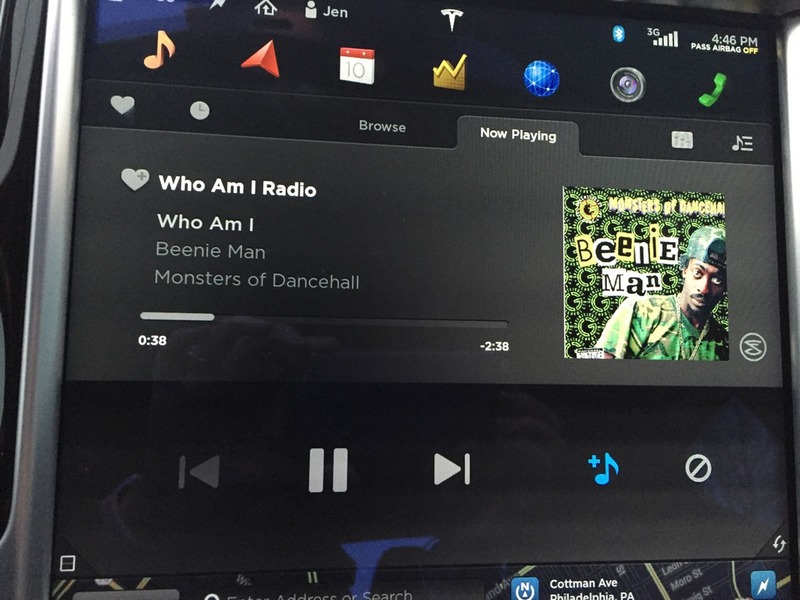 And where better to have a mood matching musical experience than a car? One of my favorite uses of Slacker is when a random song comes to mind and you can listen in an instant. 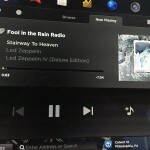 You may not have that song in your own digital collection. And you certainly can’t just command an obscure song to happen to be playing on FM radio. 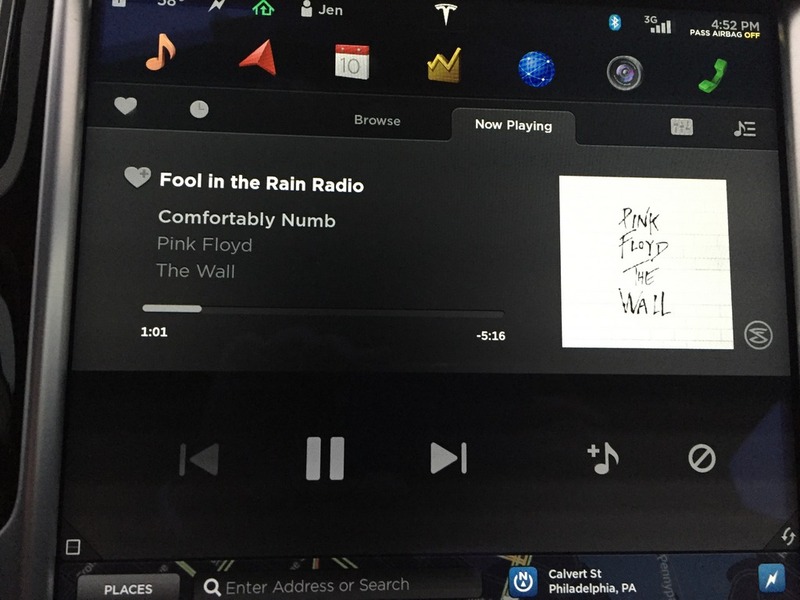 What’s even better is when that obscure song turns out to be a really good base for the radio to select other songs you didn’t even realize you wanted to listen to. I’m talking to you, Beenie Man! And of course, as you may find to be the case when taking a spirited solo drive, sometimes you just want to hear whatever exact song it is that you consider to be your driving theme song. The Tesla is already a joy to drive for reasons stated a million times over. But music? Music speaks to the soul. And sometimes, my soul wants to escape a traffic jam by thinking of my late father.